Imagine, after years of saving and months of searching for your dream home, you’ve finally found it: that charming ranch-style home with a beautiful view. It’s perfect, until one day you start noticing damp spots appear in your basement floor carpet. Those damp spots are followed by an overpowering odor and the next thing you know, a team of plumbers are digging up your yard to fix a leaking pipe. Turns out your dream home came with a dirty secret; old pipes. When house-hunting, it can be tempting to be swayed by the charm of an old home, but while the exterior and appliances may have been updated, most retailers will leave the plumbing updates to the new homeowners. If your home is built before 1980, there is a great chance your pipes could be due for an update. Pipes built before that time period were created with galvanized piping. A galvanized pipe is a steel pipe that is covered with a layer of zinc to protect it. Over time, the zinc erodes and the pipe begins deteriorating from the inside. Homes made with cast iron and copper pipes are also susceptible to corrosion. 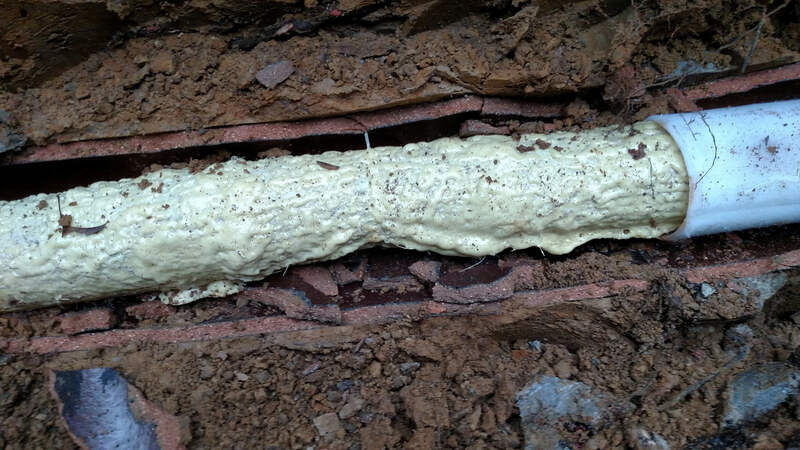 For homeowners in Valley Village, where the average year homes were built is 1965, it is important to know the warning signs of a corroding pipe so you can fix it before it is too late. Fortunately, there are many warning signs that pipes give off that they are cracked or close to bursting. For example, if you notice constant clogging, it is important not to shrug it off. That could be a sign that there is a break in your sewer line. Or, if you are experiencing lower water pressure in your showers that could be a sign that your pipes have expanded, cracked or burst and are having trouble letting water through. In addition, a raised water bill is always a tell-tale sign that there is a leak in your pipes, along with any whistling noises coming from your pipes. A whistling noise can mean your pipe is dented and the segment is too small to let water pass. Foul odor, of course, is one of the most obtrusive and unfortunate symptoms of a leaking pipe. The odors come from pockets of moisture built up in your pipe that have cracked and are creating a fungusy smell. If you have noticed any of these symptoms, or have a home older than 1980, don’t put off getting your pipes checked. When it comes to sewer repair, many drudge up the image of a group of plumbers coming for days or event weeks to dig up the yard and charge you too much. At Rapid Plumbing, we use the highest technology to get in, get out, and get the job done right for a fair price. For clogs, we use high-pressure hydro jetting to clean out any clogs in the sewers. Using water at 4000 psi we can efficiently cut tree roots and destroy grease. If you are experiencing a pipe leak, we use en electronic leak detector to locate the exact area of the problem and keep the slab breakage and repairs to a minimum to save you money. Contact us are Rapid Plumbing to learn more how we can help with your plumbing problems.